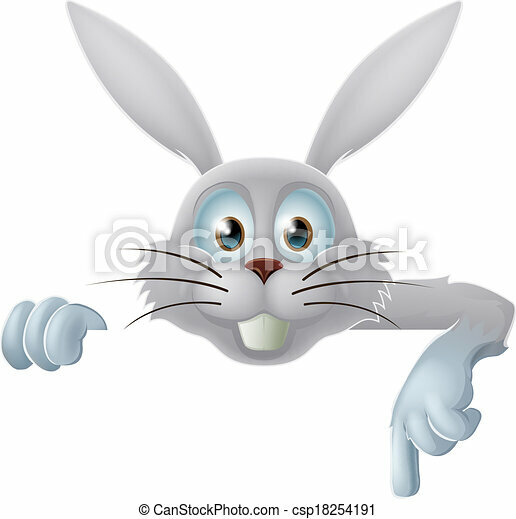 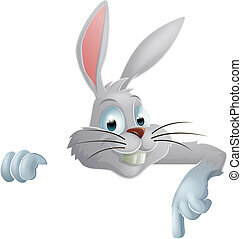 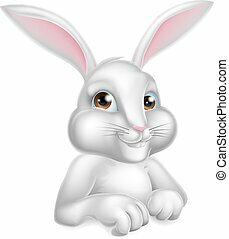 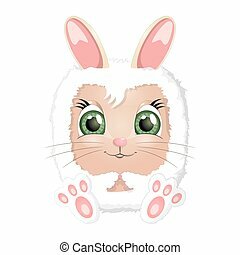 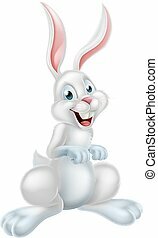 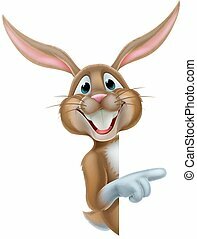 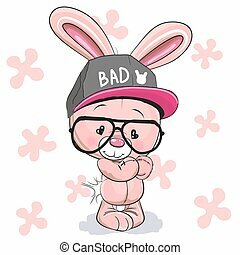 White easter bunny pointing down. 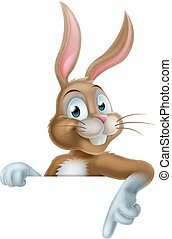 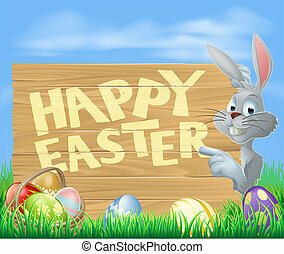 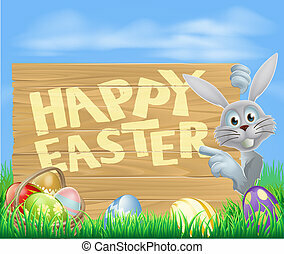 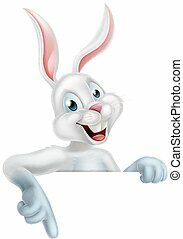 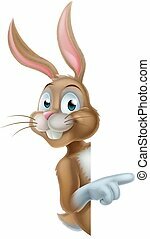 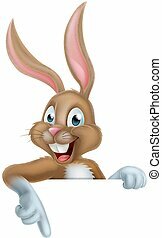 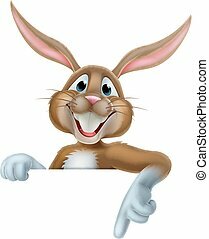 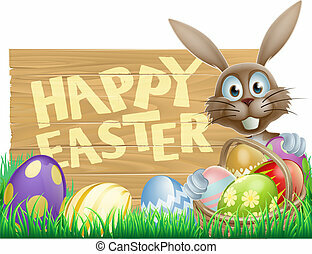 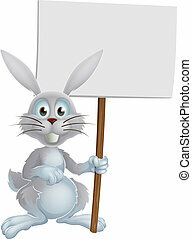 A white easter bunny rabbit pointing down at a banner or sign. 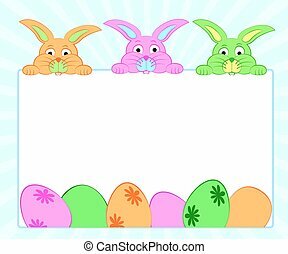 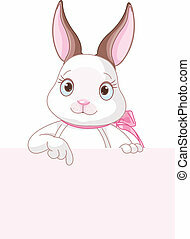 Background with colorful bunnies and eggs for Easter with free space . 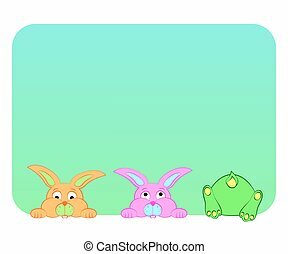 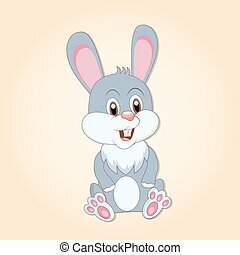 Fun , multi-colored rabbits look out of the window on a blue background .